This is my second Shimmertastic ink. Blue Lightning is a light blue - turquoise ink with silver dust. It shades well. It goes from a caribbean blue to a light turquoise. The silver dust isn’t very obvious. This is a nice ink even without the silver dust. Unlike Diamine Blue Pearl I didn’t think the silver dust enhanced the ink much. 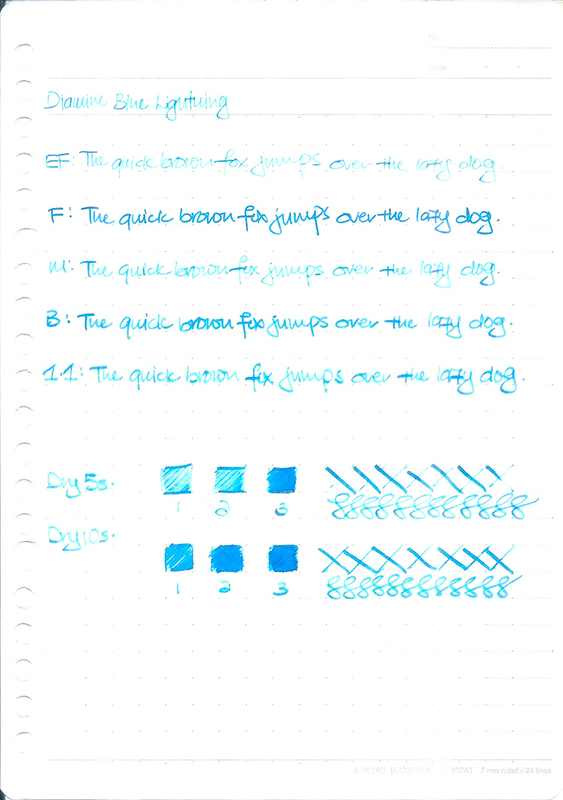 Do note that I had a hard time getting the TWSBI Mini 1.1 stub nib to write consistently with the nib.